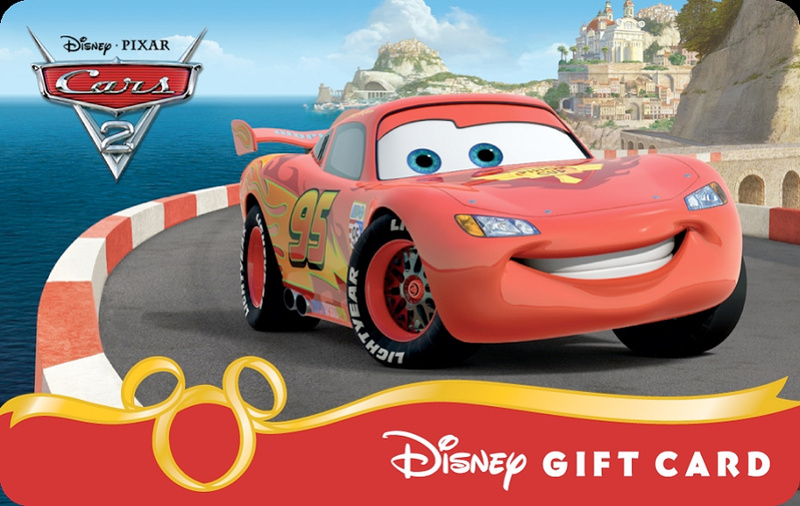 Start your engines – "Cars 2" Disney Gift Cards are now available online, at the Walt Disney World Resort, and at Disneyland Resort! Just in time for the theatrical release of "Cars 2," these new cards will have you racing to grab the film-inspired designs. 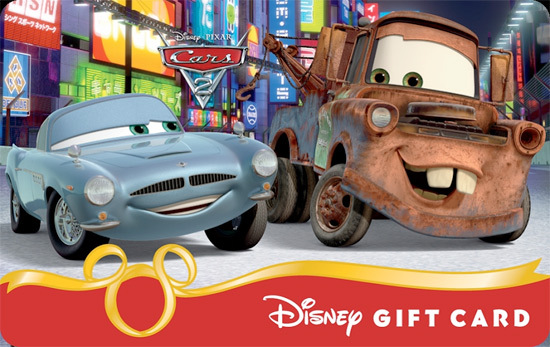 The two new designs feature Lightning McQueen racing along the Italian coastline in "Cars 2 Coastal Cruisin'" and Tow Mater with new character Finn McMissile tackling Tokyo in "Cars 2 Mater & Finn Secret Mission." As a special treat, guests who visit the Walt Disney World Resort and Disneyland Resort can pick up special 3D versions of the designs. Cards purchased online do not feature the 3D effects. Disney Gift Cards are good for almost everything Disney, including Theme Park tickets, merchandise, dining, and more! Get yours today at DisneyGiftCard.com or at select locations at the Walt Disney World Resort and Disneyland Resort.